This week we were challenged to update classic tea sandwiches. 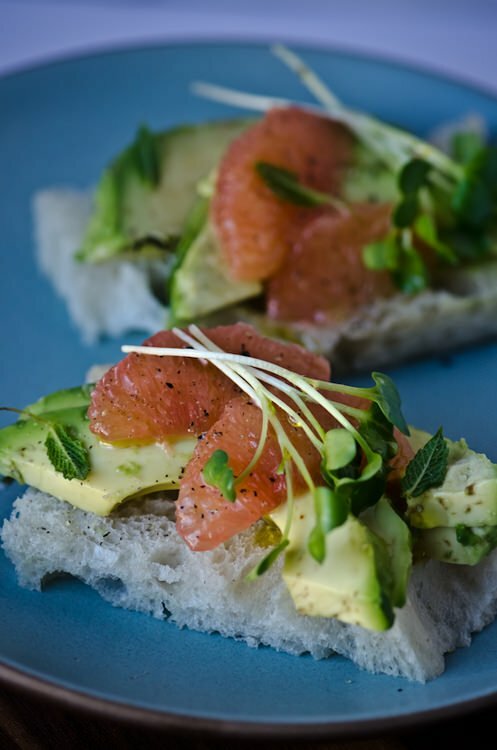 I wanted something fresh, cool and easy to put together so I combined rich creamy avocados with tart juicy grapefruit. 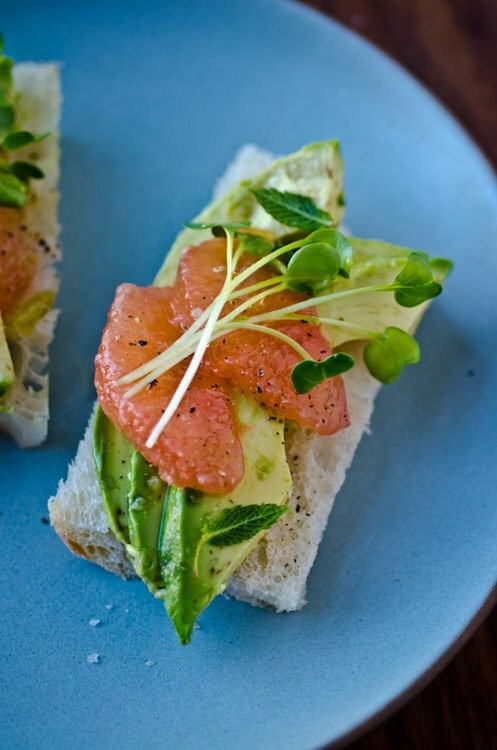 The radish sprouts give a nice little spicy bite and this is the perfect afternoon snack to get you through the summer. With all the great recipes that were created this week one could host the most fabulous tea party ever! Be sure to check out the other recipes at The Food Matters Project. In a bowl, combine the lime juice, honey and olive oil and season with salt and pepper. Cut the grapefruit into sections. 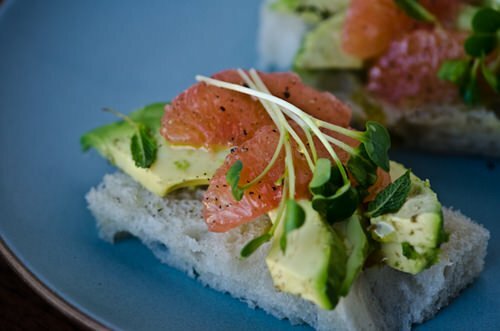 Divide the avocado on the bread. Top with the grapefruit and radish sprouts, drizzle the vinaigrette over the top and season with salt and pepper to taste. Scatter the mint leaves over the top and serve.